Gents, please join us for a special night on Thursday July 13th at the Rockford Rivets game as we swear-in NEW CLUB PRESIDENT John LiCausi and his Officers for the 2017-18 season! Please register ASAP as we need to give a final head count by the 11th. 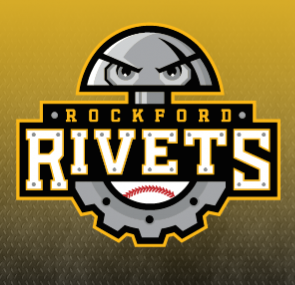 It is also "Thirsty Thursday" as the Rockford Rivets take on the Wisconsin Woodchucks, which includes discounted prices on Miller Lite and Coors Lite. Our friends at Rockford Baseball Properties have provided our club special pricing to enjoy the night in the Stadium Club! In addition, our club will be subsidizing a portion of the cost. Spouses / significant other / kids are welcome to attend! Cost: $25 for Adults; Kids (16 & under) are free! INCLUDED: Premium entrée, 2 sides, dessert, 3 free beers for adults, unlimited soda and water, all you can eat ballpark food up to 2 hours after first pitch!